The OnePlus One, OnePlus 2, OnePlus 3, OnePlus 5, and OnePlus 6 have all represented OnePlus’ first (and sometimes only) flagship during their respective launch years. 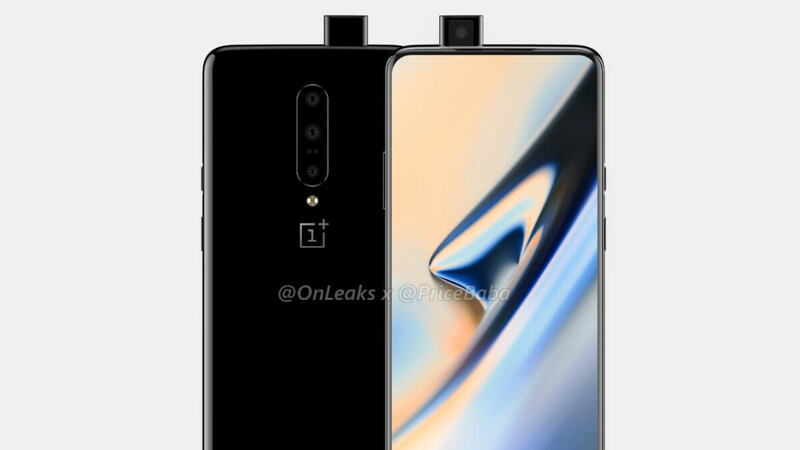 But in 2019, the brand is set to switch things up a little with the OnePlus 7 & OnePlus 7 Pro, the latter of which is the subject of today’s leak. As revealed yesterday, the Pro smartphone will arrive equipped with a massive 6.64-inch curved display. This, according to information Ishan Agarwal shared with Android Central, will consist of a Super AMOLED panel that boasts a Quad HD+ resolution. Nowadays, these specifications are pretty common in the flagship segment so for most consumers they won’t be a cause for celebration. However, for diehard OnePlus fans the news is certainly positive as, until now, the company has remained loyal to 1080p panels. 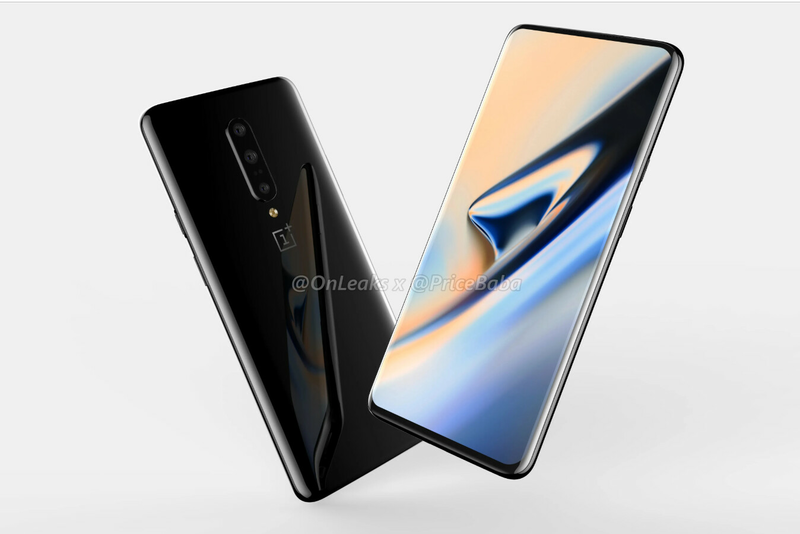 In addition to the higher resolution, it’s reported that the OnePlus 7 Pro will introduce a high 90Hz display refresh rate, something that should impress tech enthusiasts across the globe. After all, with the exception of the Razer Phone 2’s 120Hz display, most smartphones still sport regular 60Hz panels. On paper, this means that the OnePlus 7 Pro’s display will be much smoother in comparison. It also means that gameplay in apps that support over 60Hz refresh rates should improve significantly. Bigger battery, faster charging, and stereo speakers! 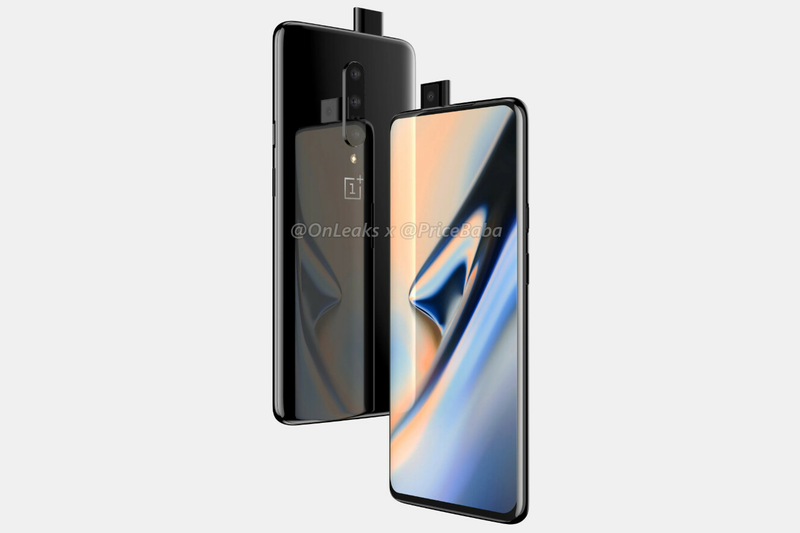 Accompanying the larger display will be an equally bigger 4,000mAh battery – the OnePlus 7 is expected to feature a 3,700mAh cell. This will be paired with USB 3.1 connectivity via the USB-C port and support for the 30W Warp Charge standard that made its debut on the OnePlus 6T McLaren Edition. Today’s report also corroborates yesterday’s claim of telephoto and wide-angle cameras on the rear that will join the primary 48-megapixel camera. There will also be a selfie snapper contained within the pop-out module, although its specs are yet to be revealed. Circling back to the smartphone’s front, the large display is accompanied by a wide speaker grill above. This, as suspected, is part of a new stereo speaker setup that is also expected to be present on the regular OnePlus 7. When will the OnePlus 7 Pro arrive? How much will it cost? Like most 2019 flagships, the OnePlus 7 Pro should arrive equipped with Qualcomm’s Snapdragon 855. Considering the smartphone’s slightly higher price tag, the processor will probably be paired with a minimum of 8GB of RAM and 128GB of storage. However, models with as much as 12GB of RAM and 512GB are extremely likely. Alongside all of this, the device should ship with Android 9 Pie pre-installed alongside the latest version of OxygenOS. The smartphone will also support 5G networks in a handful of European markets and certain Asian countries. However, remaining markets such as the US are expected to receive a 4G LTE version of the smartphone that’ll naturally cost less. Speaking of the price, the OnePlus 7 Pro complete with 5G support is expected to cost somewhere between $849 and $899. The 4G variant, on the other hand, could start at either $699 or $749, although these prices are purely speculation at this point. The OnePlus 7 Pro should be announced alongside the regular OnePlus 7 at an event on May 14th. OnePlus is yet to official confirm this, but Ishan Agarwal expects the announcement to take place simultaneously in New York, London, and Bangalore. Meh, pretty standard stuff (even lagging behind in some other aspects). Except the 90hz display nothing to see here. Plus, the pop up cam is a big let down and the camera will be trash as usual. OnePlus 6 and 6T both had very serviceable cameras so I don't know what you're getting at. Don't let the flagship hypetrain fool you, for 95% of people OnePlus more than gets the job done especially if you don't take a lot of pictures at night. Not to mention the OnePlus camera systems have the most sensible slow motion capture setup and does 4k60fps which the beloved Pixel 3 omits. Let me guess... Your phone is better than everyone else's? OnePlus users are happy with FullHD screens because it gives twice better performance in gaming etc. If that QuadHD screen rumor is real, I'm not upgrading. Phones with FHD screens perform much better than those with QHD screens. Sony xz2 premium has a 4k display but still performs the best in gtx manhattan 3.0 onscreen test. You know why? Because manufacturers usually set the screen resolution to 1080p when gaming so you won't notice a difference in performance. no worries, you can change the seetings. my wife has S8+ with quad HD but i lowered it to full HD. after the newest update, amazing batterey life. Why bother with the regular OP7? It is just a OP6t with a SD 855 instead of the 845. Same battery, same screen, maybe the main camera will be 48MP instead of 16MP, but really disappointing otherwise. May as well get the 6t and save some $$$. The 855 enables one more year of updates. The OP7 will have a better camera Stereo speakers Maybe a 1080p 90 Hz panel. It's an all around upgrade still, and at a cheaper price point than the pro. If you just care about performance, battery and updates, it makes sense to go with the 7, since it will be pretty much the best phone for that purpose. Wow a $900 OnePlus phone. How much was the OnePlus One? Well privacy wise, it makes a lot of sense. No one can be accused of spying on you when the camera is fully redacted. CAD Render headlines, then nothing about it. Is it a 3D sensor? I'm gonna guess $699 for the 4g OnePlus 7 Pro. Sounding good hopefully it will have wireless charging too. The size will probably make this the first Oneplus I do not get. I cannot use a massive phone anymore. The S10 is about as big as I would like for daily use. If the smaller phone really is a gimped version then that's an opportunity wasted for Oneplus. naah, looks 1+ not want go highphone makers but near want still highend phone price it. if 1+ 7 pro cost over 700$ there must include wireless charging ,IP68 ,excellent screen and i mean contrast ratio: sunlight must be over 4500. also battery so big than i can used 2 days without charg (with wireless) good audio and crasstalk and stereo speakers with power.. 90db ok, i must give all credit 1+, po up camera, great, i hope ALL hone makers go that,its good nough and handy without spy... sbtw amsung 10 is best spy front camera,you cantcover it anymore.. or you can but you suffer. unforgiven samsung. i hope what i heard that note 10 have pop p camera. anyway, beware 1+ keeping phone tech middle area without blink and still rising pricenearhighend area, only 1+ loose. i hope not this happend. oncemore, thanks pop up camera!